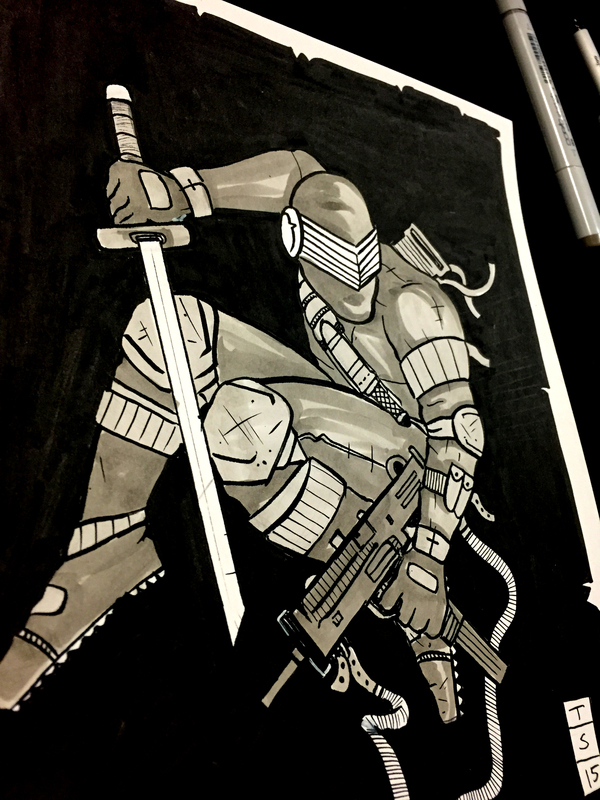 An 8 x 10 commission I did at East Coast Comic Con. Go Joe! 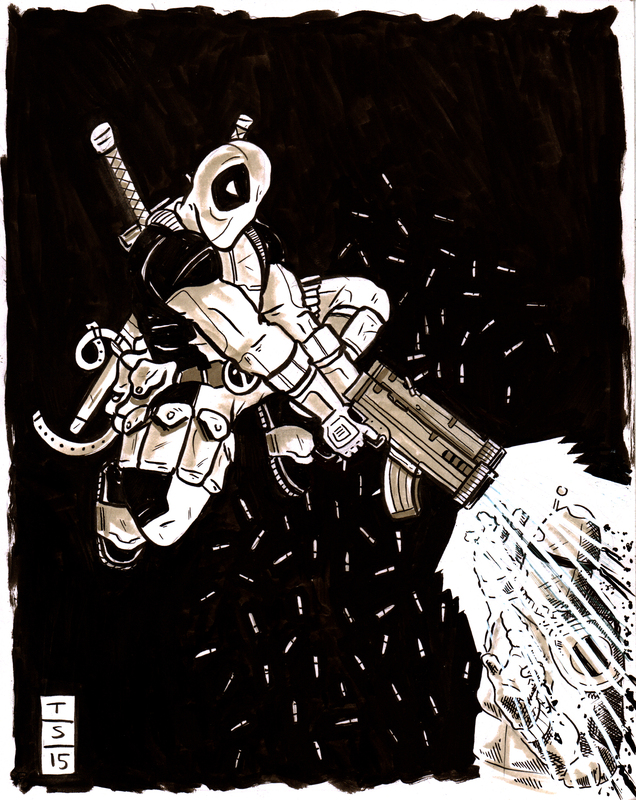 A deadpool, 8 x 10 bristol board. Posting live from East Coast Comic Con. 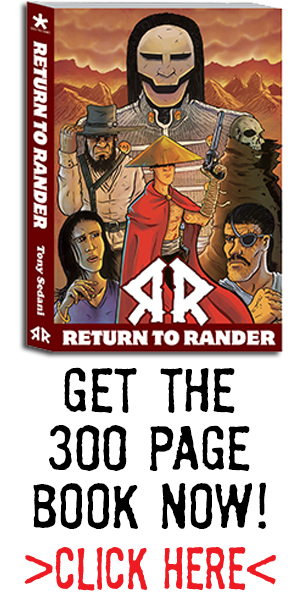 Selling the RR graphic novel. As well as doing original art. Check out a RR #1 sketch cover variant I did! I will be at East Coast Comic Con this weekend! 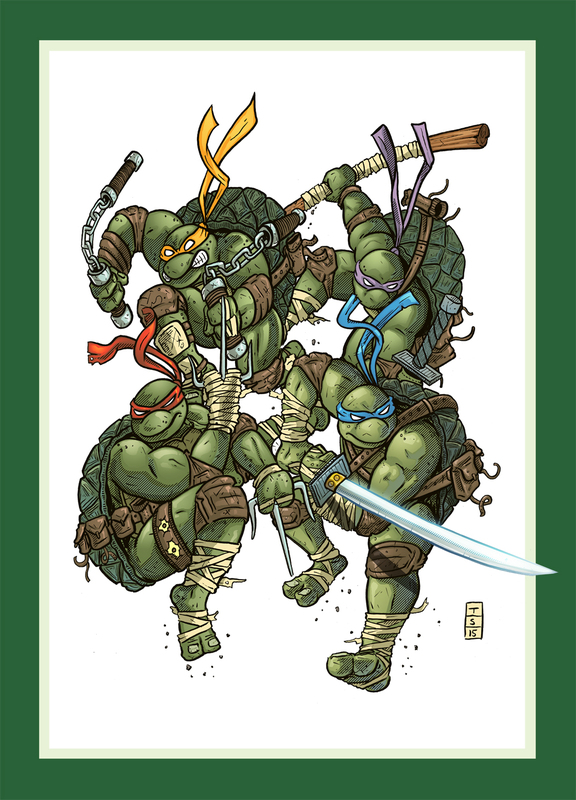 And with the new year, I am going to have a brand new graphic novel, as well as a new Turtle print! It will be 10 x 14 and will only be sold during 2015! See you there! 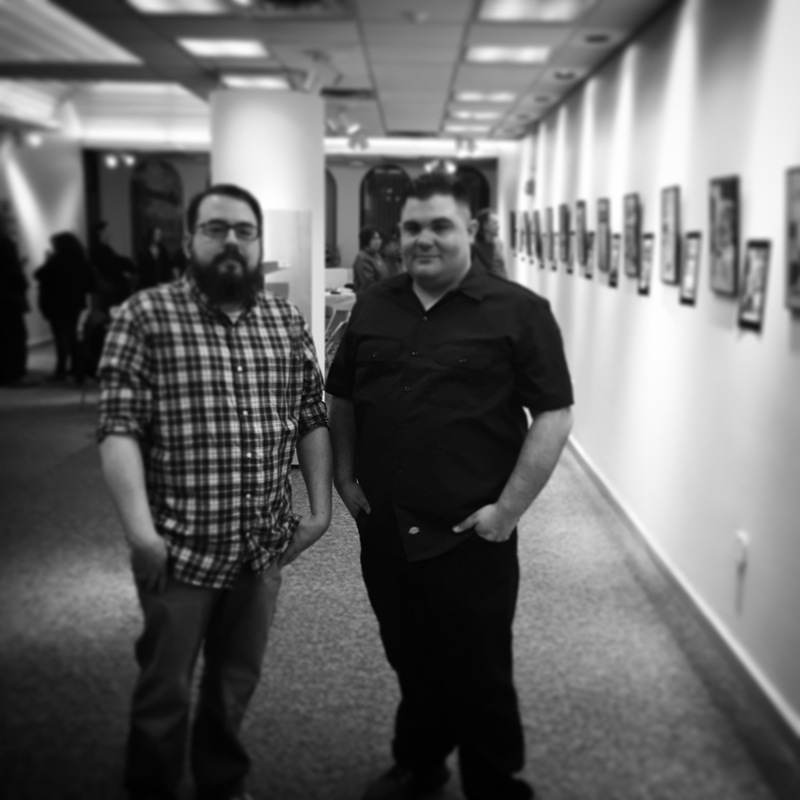 Friday April 3rd marked the opening reception for “Between the Panels” Joel and I’s gallery show at Massasoit Canton Campus. 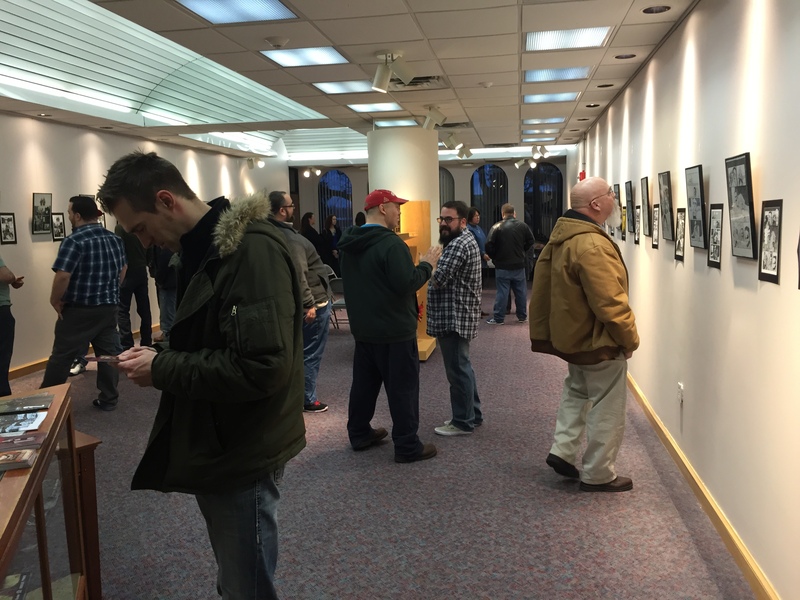 We were very happy with the way the gallery looks, and had a great turnout. 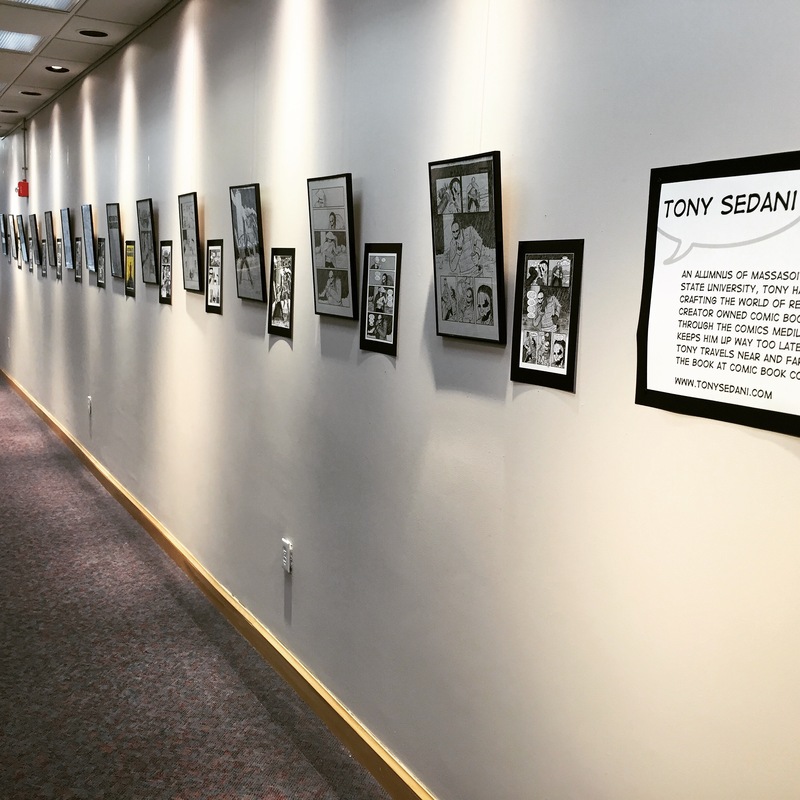 And of course, everyone loved the spreads! 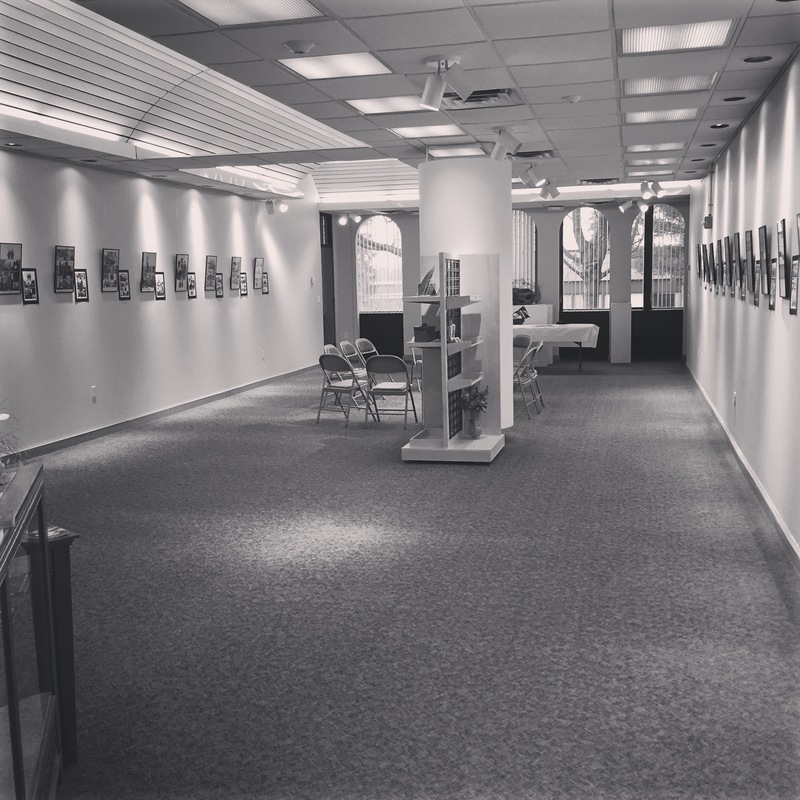 The gallery will be open until May 5th if you are in the South Shore area! 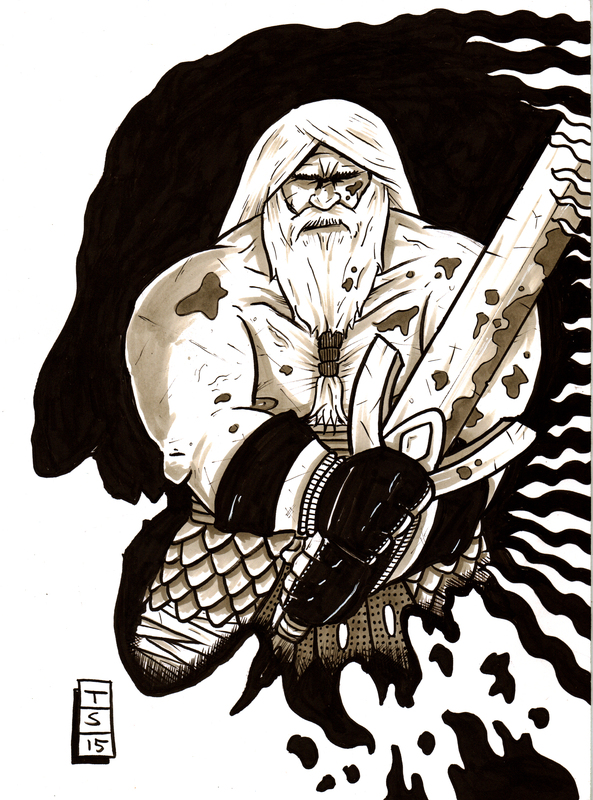 A Head Lopper drawing I gave to Andrew Maclean recently. If you haven’t read this book, find it now!